I have been asked about doing a Row by Row Round Robin for the coming year. Because we had done this for the past two years, we did not start a new one. However, if there is an interest, we will do it beginning in September. Please understand that it involves a commitment for Sept thru June. It only involves one row and you have a month to complete it. If there is enough interest (we need at least 12 people) then we will begin in Sept. Four people have already asked to do this project. Jump on board. 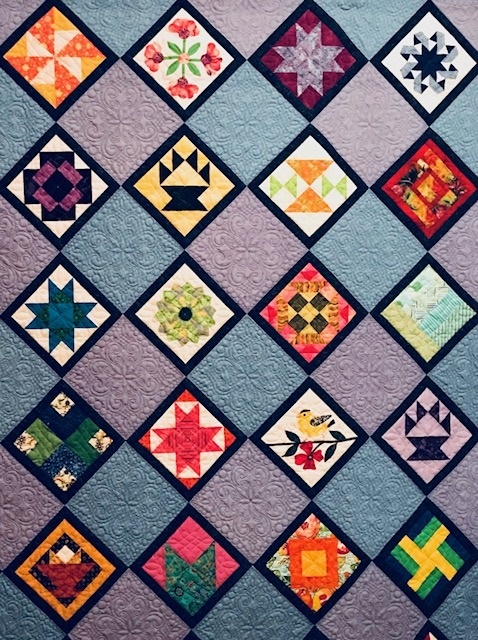 Did you see the fabulous quilts from last year? They were shown at the June meeting. The Robins who did it really enjoyed the process and now have some fabulous quilts. It’s a great way to use your stash. Please send an email to Marianne Karp at mskqlt@verizon.net if you want to participate. We will send you the rules and ask you to have row 1 completed by the Sept. mtg. This entry was posted in Projects and tagged Group Projects, Round Robin, Row Robin.